New Jersey Governor Chris Christie cut the ribbon on Thursday outside Atlantic City’s newest tourist attraction: Margaritaville. The $35 million, 40,000-square-foot complex houses two restaurants, multiple bars, a beach-themed casino, and several breezy, laid-back retail stores—all tucked away in a larger gambling mecca called Resorts. The singer and songwriter of the eponymous song was conspicuously absent from the festivities. 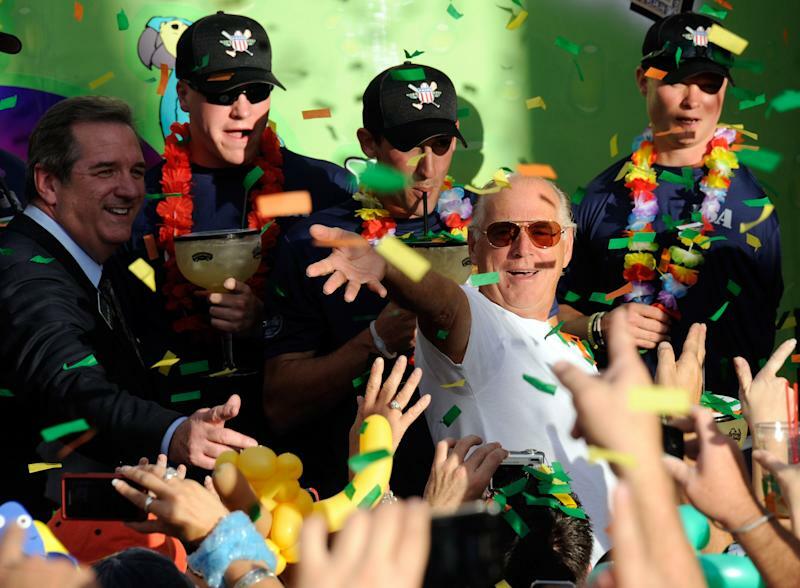 For Jimmy Buffett, the grand opening was no special occasion: The Atlantic City outpost is the 27th Margaritaville in the world. Margaritaville Enterprises, founded in 2006 and based in Orlando, sells everything from beachwear to furniture and also oversees at least one Caribbean island resort, two American resorts, and four casinos. You can buy Margaritaville rum and combine it with a Margaritaville drink mixer in your very own Margaritaville blender that costs $349.99. According to the Orlando Business Journal, the company brought in at least $100 million in revenue in 2007. As a private company, Margaritaville doesn’t release information about its holdings, but by all accounts it has only expanded since then. Of course, this means the song and the brand are separate legal entities and could, in theory, be sold separately. But this isn’t the case. If you want to check Buffett’s tour dates, there’s no JimmyBuffett.com—there’s only Margaritaville.com, where his music career and the rest of his empire are seamlessly melted into one site.